Migraine is a condition characterized by sudden bouts of throbbing headache often unilateral (pain localized to one side of the head). Migraine can last from a few hours to days. The pain may be accompanied by other manifestations like nausea, vomiting and visual disturbances. 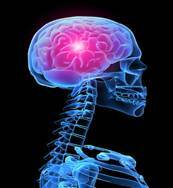 Each year, the number of people worldwide seeking medical treatment for recurrent headache has been on the increase. Tension headaches are very common and occur in adults of all ages and gender throughout the world. Women in their early childbearing years are the most susceptible, particularly just before or during menstrual periods. Cluster headaches are most common in men of about 30-40 years of age. The incidence of migraine is much higher in those engaged in stressful work, involving much mental activity like businessmen and scientists. It is also more common in nervous and highly emotional individuals. Migraine affects more than 28 million Americans, and about 75% are women. The headaches typically begin in adolescence or early adulthood, but onset may be earlier or later in some cases. There is clustering in families, suggesting a genetic component. Scientists also think that imbalances in brain chemicals such as serotonin and magnesium may trigger Migraine attack. Fluctuation in estrogen and progesterone also seem to cause Migraine attack in Women. Modify your lifestyle such that you get complete freedom from the tensions in your life. Pressure on brain should be minimized. It is almost impossible to change the lifestyle, but you may try to get adjusted to the better side of your life. The prevention of a migraine attack is by trying to identify any precipitating factor and avoiding the same. Avoiding alcohol, smoking and controlling hypertension is also essential. The use of counselling and psychotherapy is essential in highly stressed, nervous and emotional individuals. Most sufferers can't do much other than retreat to bed once a severe migraine hits, but a full-blown attack is often preceded by a prodrome, a warning symptom, such as dizziness, drowsiness, muscle stiffness, or mood swings. Developing sensitivity to such signals, and using them as a call to action, can help you halt the migraine before it begins, or at least reduce its severity. When you get a warning, make it a priority to stop what you are doing. It is also a very useful trick to rest and relax the muscles of the head. These techniques work by slowing down the mind. When you begin to enjoy a deep internal massage though the resonance of sound in your whole head, you will start to feel the tension release. Performing certain asanas before the migraine occurs, or just as it is making itself known, is most effective. There's no prescribed set of asanas guaranteed to conquer headaches, and each individual is different. The Lotus Yoga Pose is usually done in Meditation. It is a classic seated posture which strengthens your ankles and knees, enhances concentration, and improves flexibility of your legs. The alternating stretching and releasing of the abdominal muscles increases blood flow to this area and aids all sorts of digestive disorders and discomforts. The Bow works all parts of your back simultaneously. The pose is so named because as you hold it, your body is bent back like a bow and your arms are held straight and taut like a bowstring. Legs-Up-The-Wall pose (Viparita Karani) is a wonderful yoga position that few of us take the time to do and most of us need. Much of the yoga currently practiced here in the US is active and often very vigorous. Yoga stresses the importance of balancing these yang (active) poses with yin (passive) poses. Legs-Up-The-Wall pose fits the bill perfectly. It is a gentle inversion that helps to relieve the effects of stress by soothing the nervous system, increasing circulation and allowing the mind to calm. It is especially great for people who spend too much time sitting and standing since it relieves swelling and fatigue in the legs and feet by reversing the effects of gravity. The Child Pose is a gentle way of stretching your shoulders, hips, thighs, ankles, and back muscles. It is a relaxation posture which is done to normalize the circulation after performing the Headstand and to serve as counterpose after Backbends. Janu means knee and sirsa means the head. Asana means pose in Sanskrit. It is a pose to enjoy asymmetry. The potential is to free up constriction in different parts of the back and to loosen the hamstrings. • Sit on the floor with your buttocks lifted on a folded blanket and your legs straight in front of you. Inhale, bend your right knee, and draw the heel back toward your perineum. Rest your right foot sole lightly against your inner left thigh, and lay the outer right leg on the floor, with the shin at a right angle to the left leg (if your right knee doesn't rest comfortably on the floor, support it with a folded blanket). • Press your right hand against the inner right groin, where the thigh joins the pelvis, and your left hand on the floor beside the hip. Exhale and turn the torso slightly to the left, lifting the torso as you push down on and ground the inner right thigh. Line up your navel with the middle of the left thigh. You can just stay here, using a strap to help you lengthen the spine evenly, grounding through the sitting bones. • When you are ready, you can drop the strap and reach out with your right hand to take the inner left foot, thumb on the sole. Inhale and lift the front torso, pressing the top of the left thigh into the floor and extending actively through the left heel. Use the pressure of the left hand on the floor to increase the twist to the left. Then reach your left hand to the outside of the foot. With the arms fully extended, lengthen the front torso from the pubis to the top of the sternum. • Exhale and extend forward from the groins, not the hips. Be sure not to pull yourself forcefully into the forward bend, hunching the back and shortening the front torso. As you descend, bend your elbows out to the sides and lift them away from the floor. • Lengthen forward into a comfortable stretch. The lower belly should touch the thighs first, the head last. Stay in the pose anywhere from 1 to 3 minutes. Come up with an inhalation and repeat the instructions with the legs reversed for the same length of time. The meaning of the word Jalandhar, " Jal " means " Net ", in this case, net of Nadis (energy channels) and the word " Dhar " means to stop or to hold the flow of the fluid (Amrut), flowing through the nadis.This exercise is known to be the "destroyer of old age." You can do this exercise in any yoga posture, though most people prefer to be in Padmasana or lotus posture to do this exercise. In this posture, the neck is bent a little to do the 'bandh'. In this all the muscles of the neck and throat are contracted and a force is exerted on the seven paths of the throat. • Sit in a comfortable pose. • Firm your shoulder blades against your back torso to lift your sternum. Be careful not to push your front ribs forward. • Full Jalandhara requires the chin to rest comfortably on the sternum (neck flexion). Many beginners make the mistake of only lowering the chin; in fact your chin should be met half-way by the elevated sternum. • The focus of these complementary movements is the "crook" of the throat, where the underside of the chin meets the front of the neck. Draw this crook diagonally up and into your skull (toward the top of your spine).Your head should pivot and your chin should descend over this action, which simultaneously draws the top of the sternum upward. • Work on lengthening the back of your neck, releasing your shoulders, and opening your chest in poses like Sarvangasana and Setu Bandha Sarvangasana. Never force your chin to your sternum. • If you're a beginner, don't hold this bandha continuously throughout your practice. Begin your inhalation with your head upright. Apply Jalandhara as you near the end of the inhale, hold during the retention and the exhale, and then raise your head to a neutral position for the next inhale. The literal translation of Paschimottanasana is intense stretch-of-the-west.Paschimottanasana (Seated Forward Bend) is a mainstay of an asana practice. The pose stretches the spine, hamstrings and shoulders, encourages the free flow of the breath and stimulates the liver and kidneys. As a deep forward bend, paschimottanasana encourages relaxation, calms anxiety and teaches us to work with the breath; the soft exhaling breath should be used to ease gently into the pose. • back your hands and hips to the original position while exhaling. Repeat three to four times and relax. Yoga is the primary level which consists of bodily exercises to build a ground for Meditation. The word yoga had been derived from the Sanskrit word yuj which means to join to unite to balance or to integrate. Yoga is a system of exercises for the mental and physical well being. It combines stylized poses with deep meditation and breathing. According to astrological reports for yoga asanas the above mentioned asanas are said to be effective for those who come under the following zodiac sign.